OM10K-8 | Luxcom Technologies Inc. 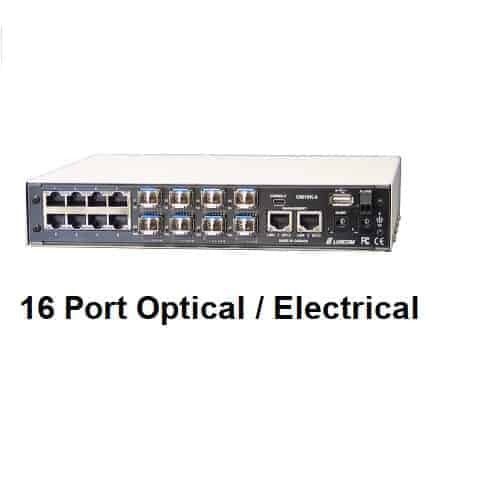 The SFP ports support a variety of wavelengths and fiber types. Optical signal strength bar graphs display received optical power. 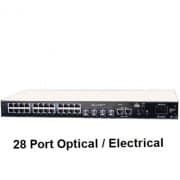 Ethernet and USB console ports are provided for out-of-band management. The RJ45 ports can be configured for VLAN and provider bridge traffic isolation. The control software is highly customizable and can support MPLS label and VLAN tags , policy-based routing, and port monitoring (snooping). Two power supply inputs are provided for redundancy; they accept 18 to 58 Vdc from the supplied power cube. Rugged ESD protection and industrial temperature range.